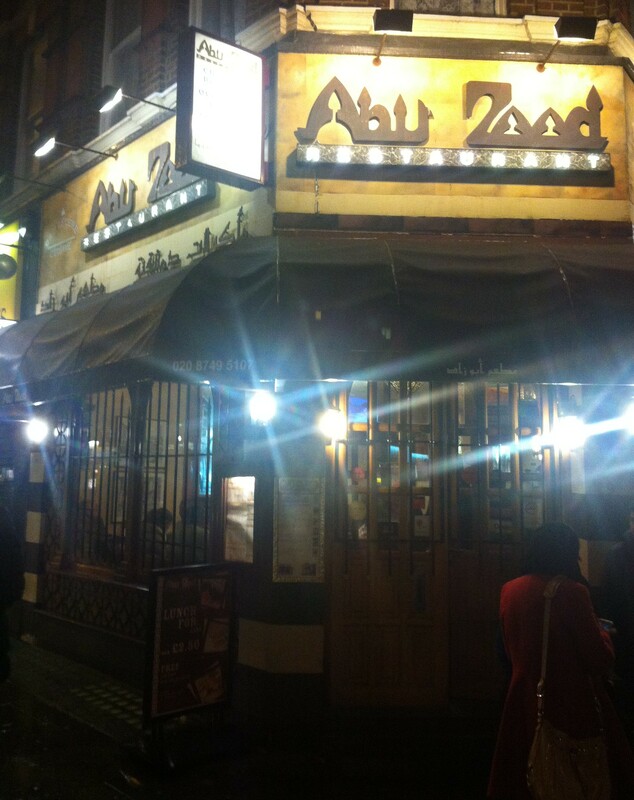 Abu Zaad | Restaurants of the World Unite! I read in Bella that all might not be well in Syria at the moment, but that’s as far as my curiosity has taken me. I have watched Syriana with gorgeous George and Matt Damon – does that count? He has a great beard in that film. Me, the affianced and her chum Hoppy visited Abu Zaad (http://www.abuzaad.co.uk/) prior to catching the War Child Comedy Night (headlined by Tony Law). Syrian food and War Child? I’m so political these days! The place is busy. Really busy. 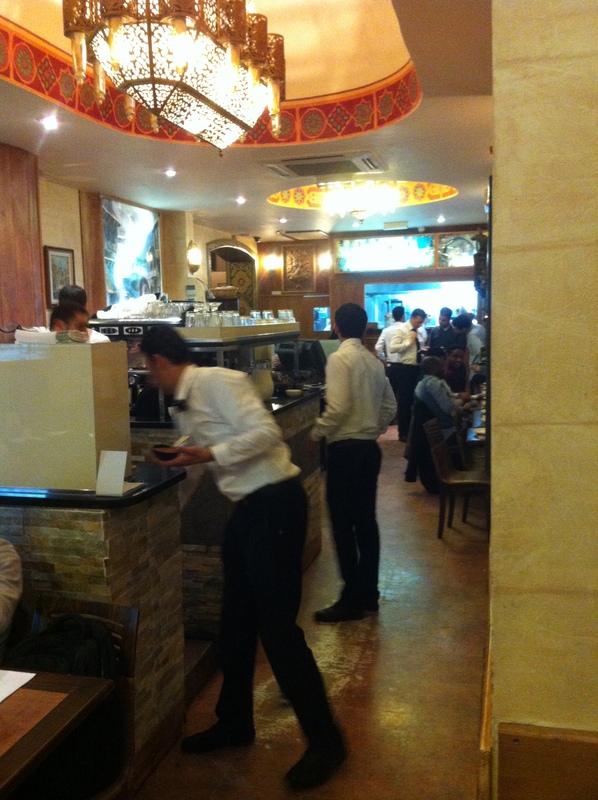 Our table was near the entrance and a queue developed forming a human shield around the table concealing us from the waiter. Book before you go. But most importantly go. 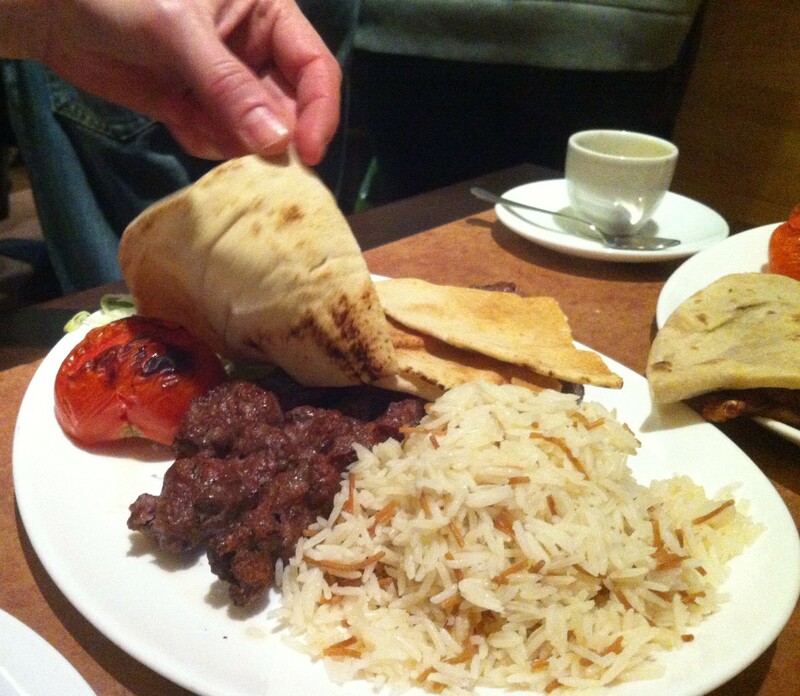 The food and service was excellent and good value (£39 for 3 people). 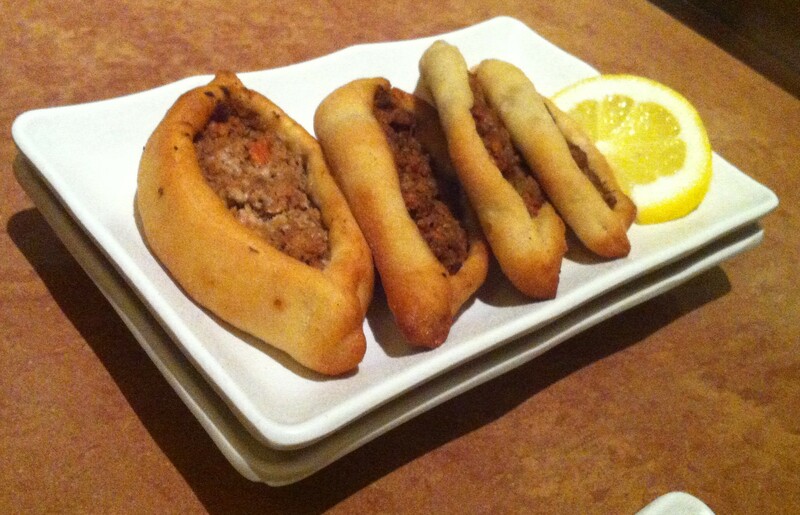 We started off with stuffed pastries (minced lamb; spinach) which to be honest weren’t all that great. Not v flavoursome and the dough was a bit rubbery. 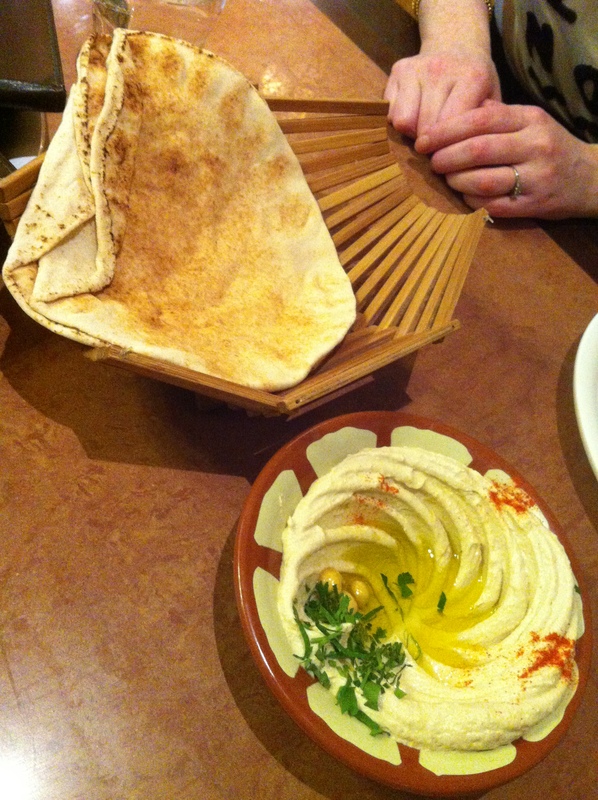 The hummous was excellent though and I inhaled it. 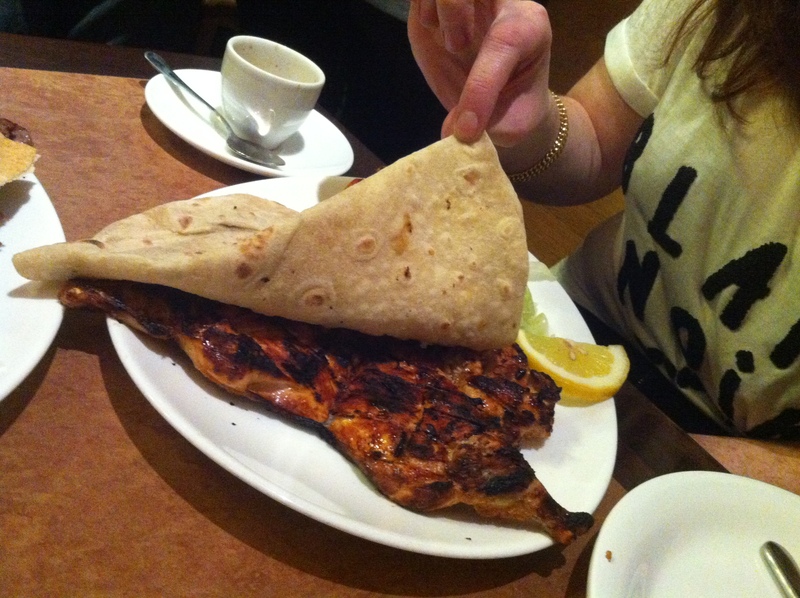 The affianced went for the grilled, boneless baby chicken, and Hoppy had the lamb skewers. I don’t skewer things enough. 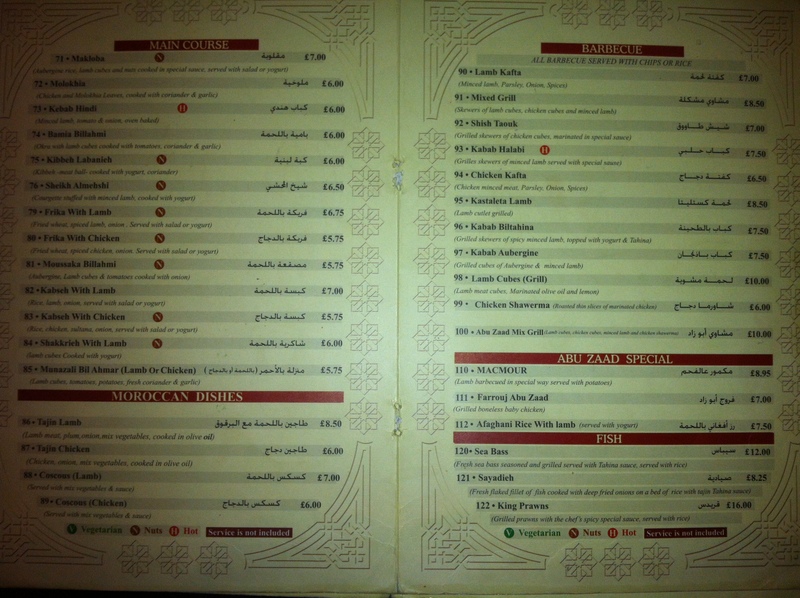 This is what I mainly imagine middle eastern food to be and it didn’t disappoint. Imagine if they got their mitts on pork? The magical things they could achieve. 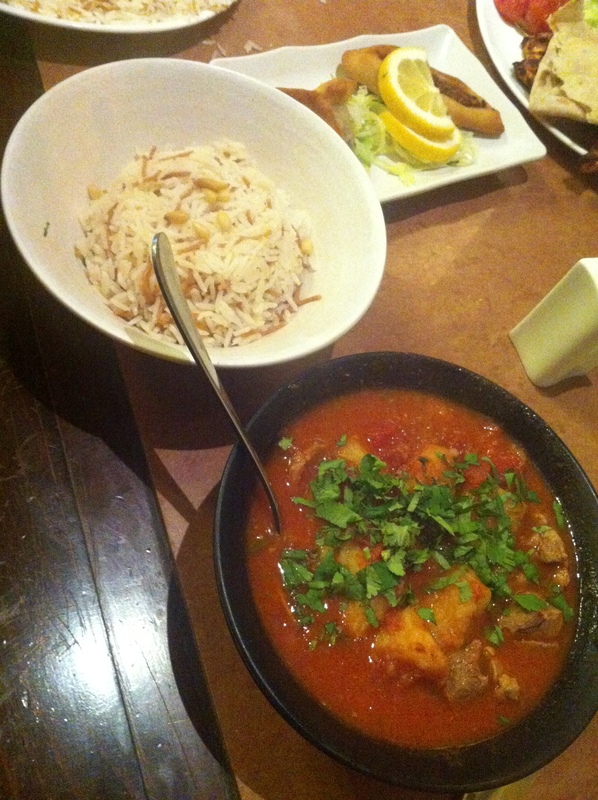 I had Munazali Bil Ahmar, a lamb and tomato stew with garlic and coriander which was tangy and the lamb was so tender without being overcooked there was virtually no resistance to chomping. Special mention for the drinks. 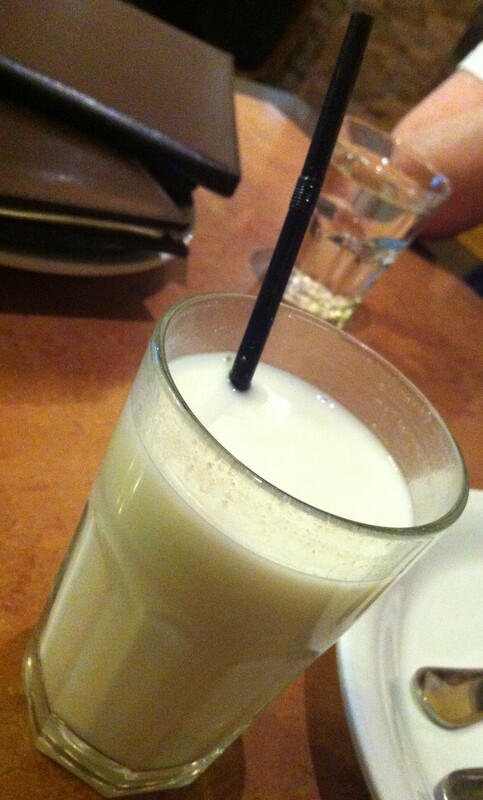 It’s dry, so I started off with a tall, cool Ayran (described by the waiter as being like a lassi) which the affianced accurately described as being like yoghurt mixed with seawater. Drank it though. 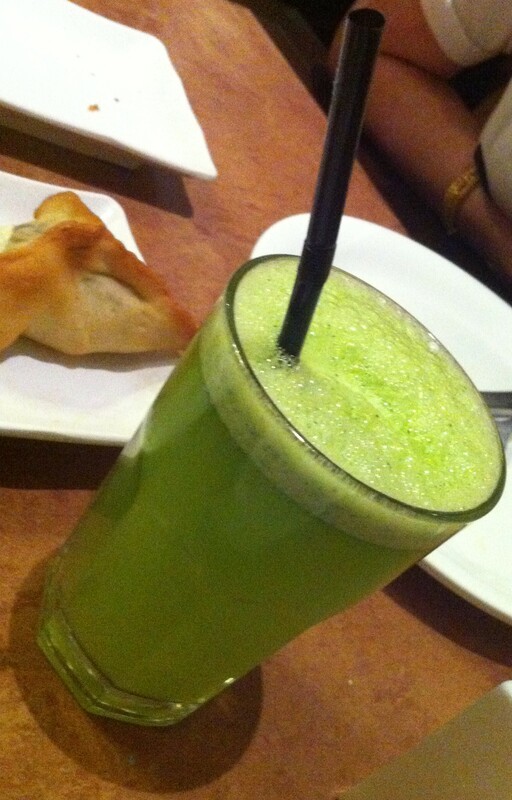 I then had a lemon and mint juice chaser. This changes everything. It has rendered all other nonalcoholic drinks obsolete. The homous. Or hummus. Or Hommus. Lamb skewers. I assume the food is hiding for a reason, but it should choose less obvious locations. Grilled, boneless baby chicken. Did all that happen before they killed it? Inside it was terribly busy. Definitely book ahead. 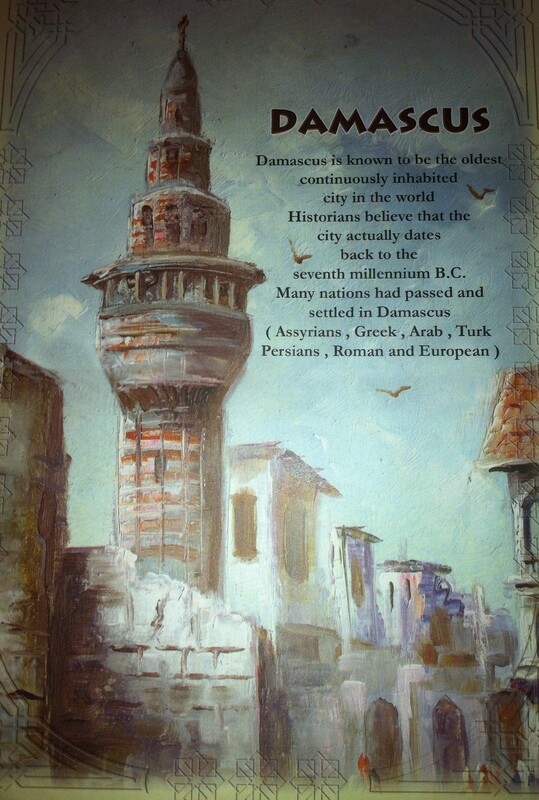 “Settled” in Damascus? Them’s rose tinted glasses there Abu. Bars on the windows eh?